Below is some recent feedback we have received from our customers. To add your own please send us a message using the contact form. Thanks AndyJ & Team for the fabulous castles, quality is amazing and getting far more bookings online since uploading your eye catching castles, difference is immense. I will recommend you comfortably to all that ask. cheers. Id highley recommend AJL. 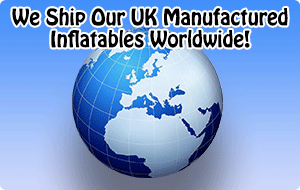 I have been using them for the last 6 years and they are still my main inflatable supplier. Very good customer service and great after sales care. 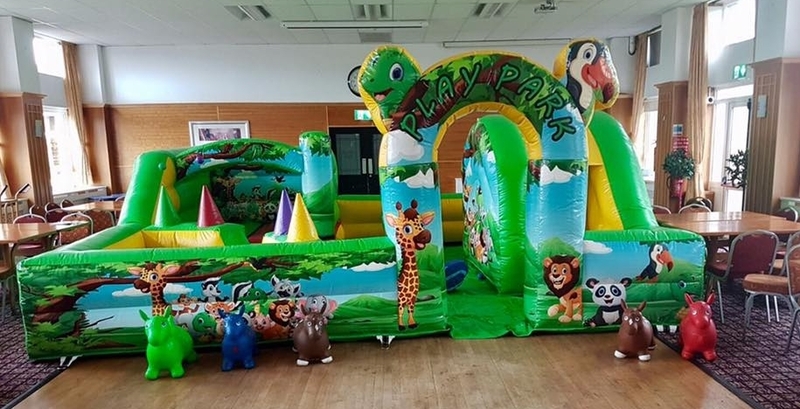 If you are looking at starting your own bouncy castle hire business take a look on my site on how Andy J Leisure can help you like they did us! I’ve got an AJL Dance and Bounce, 50+ Hires in the last year, sailed through test and a customer asked me last week if it was new! Also got another AJL and just awaiting delivery of the latest one. All mine are AJL, very good products and price - service even better! Thanks very much for the gazebo. Arrived very quickly and I’m very happy with the quality. It was perfect! 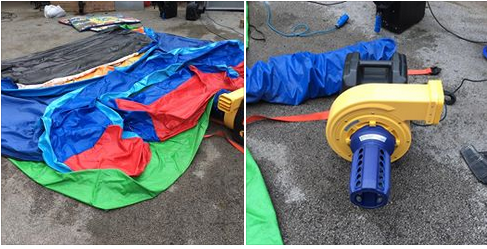 Cream Castles has been purchasing inflatable hire equipment from AJL for over 5 years. We have received impeccable service and great quality products at a great price. 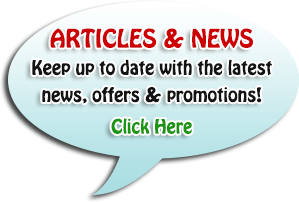 Cream Castles has grown from strength to strength with the help, advice and service received from AJL. The team at Andy J Leisure are fantastic to deal with and extremely on the ball when dealing with any enquiries you may have. 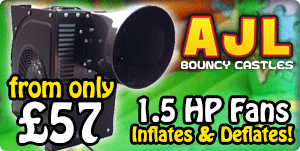 Cream Castles highly recommends AJL for all your inflatable hire equipment needs. Great products, great price and unrivalled service. New piece of kit by Andy J 4 weeks notice given and supplied 4 days early top service from a top bloke! The two bouncy castles i tried already are perfect. Very pleased, thank you! I will be ordering more soon! 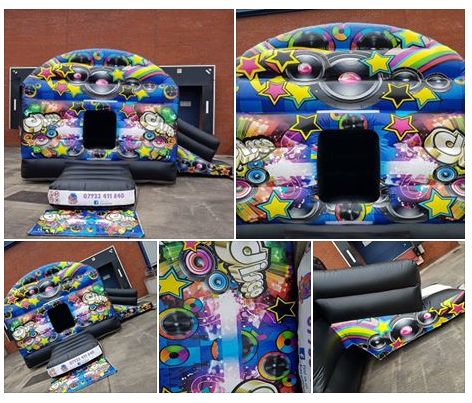 Big thanks Andy J for suppyling this Disco Dome with slide along with all the accessories. Massive thank you for our castle, third one we've had of you and never been disappointed. Tried many other companies but always come back to use you guys...totally amazing! Would just like to say a HUGE thank you to Andy J Ann, Matt and all the team, received another very large delivery today, the artworks are simply amazing, bright, eye catching and colourful - extremely pleased, we are in for a very busy year - the kids and adults are going to love our disco domes and castles, we have a huge variety now even bigger than before. Would just like to say I'm now ordering my 3rd castle from you, I've previously had a H Frame princess standard and also a A Frame Disco castle and have just ordered a H frame combi. The castles I already received were with before the time estimated, well packaged and delivered. The units themselves are brilliant. The printed artwork is second to none... I have used many other companies now and think I have found that the customer service and unit quality isn't as near as good as with Andy J, so I believe all my future orders will be coming to you. Thank you and we are eagerly awaiting our new castle. You are all awesome thank you so much for the castle was made and delivered very fast. Thank you again Not only were you fast you also had great customer service. You will be my main dealer from now on. Hi just received my interchangeable artwork i'm delighted, didn't think they would look so professional, can't wait to buy more thank you again Bronagh & Tony. I wish to thank you both and all your workforce for the outstanding service you all provided whilst taking me through the purchase of 3 A Frame Bouncy castles. Having had a very bad experience with a midlands based company I was very sceptical as to whether I could find a company to manufacture 3 castles to my requirements. Little did I know the company was right on my doorstep, 3 miles from my home. During your most busy time of the year you took the trouble to give me good solid advice based on your experience, guided me through the full range of castles suggesting a package that could be expanded by adding full 6 panel velcro artwork which everyone who has seen them say they look fantastic. I had given up the idea of catching the last part of the season and suggested I would come back in January, to my surprise I was promised them in 4 weeks. During this time I asked for the raincover colours to be changed, sound and lighting system to be added to standard A frame castles, etc all done without any fuss, changes confirmed by email. True to their word, castles completed on time, correct design and colours all artwork to my specifications and the best part at a very competitive price. Just in time to put out a few times before winter sets in. So to anyone out there looking for a prompt, polite, professional service look no further than Andy J Leisure Ltd.
Hi there, really pleased with my A-Frame arrived last Wednesday, been out 5 days out of the 7 already, first castle purchased! 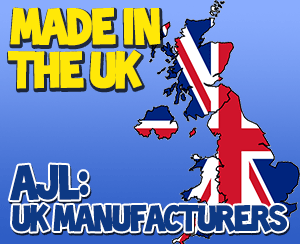 Just a quick thanks to Andy, Matt, Ann and all the staff at AJL. Come up trumps again, just received my themed castles and as per usual super artwork, prices and service second to none. If the deliveries get any earlier, they'll arrive before I've placed the order, thanks again! Hi, i have just bought 2 castles from you and just making an inquiry on the best price you can give me on SKU174 and SKU234 with everything. Ive been down to Liverpool to collect my castles today and found your staff Gary and the lady in the office brilliant to deal with. 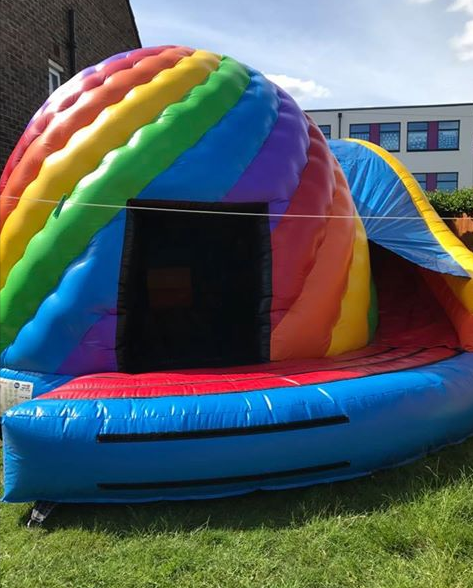 Today I took delivery of what I can only describe as a magnificent Bouncy Castle supplied by the UK's best and i'll repeat that for the slow ones I said BEST Bouncy Castle Manufacturer. At Andy Jay Leisure not only do you receive a customer service that is outstanding, they care, its not always about making money but looking after your customers and giving the customer what they want (even if she is a pain in the arse), you get value for money. Quality with castles built to last!!. Buy with confidence they are the best. Thank you very much for the bouncy castles and extras! very pleased! I appreciate the rapid response and high standard of customer care. I bought a slide off you for my grandson for Christmas. Can I just say today has been the only day we have tried the slide and I would like to say thank you very much. My grandson is well pleased, very happy buyer once again. 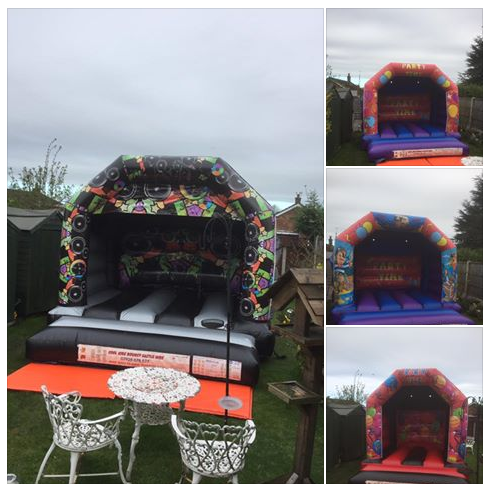 We had the bouncy castles up in the garden yesterday and we love them, so would just like to say thankyou very much, we are really chuffed with them both. Hopefully, we'll be back for some more if it takes off!! Ryan Powell, The De La Salle Academy. Hello Andy and Gary, nice 1 for all ya castles, doing really well again this summer, nice 1 for quality castles, will be up again soon, cheers lads. 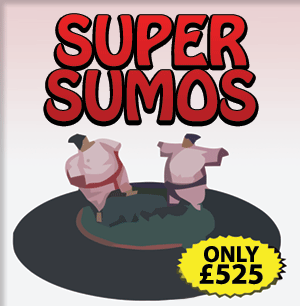 With only having my castles 30 minutes I had taken a booking and the customer said it was the best £50 he had ever spent. Over The weekend I manage to get all my castles up and they are all just perfect. I would like to thank you all for making my route into the hiring business so easy and pleasant. Especially to Andy for listening to me for about 30 minutes on the phone were I was given lots of good advice on how to get started. I will defiantly recommend A. J Leisure to any body who ever comments on how good these castles are. If all goes well I look forward to doing business with you for years to come. Again thank you so much for such a professional business. My order arrived here yesterday, very happy with castle and(extra pegs), your overall service and very prompt response to all emails.Thanks again and look forward to doing business with you again in the future. 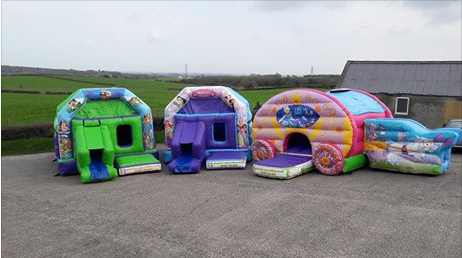 i received the bouncy castles i ve ordered last friday. they came in perfect condition and i would like to thank you very much because the look FANTASTIC. sound gary and andy, just a quick message nice 1 for quality castles, earning me a killing at the moment, all my clients are more than happy with my service and also the quality of your castles, i will defo be up to see yas soon for some more pukka castles!! !nice 1 noel from birmingham!!! Alrite Andy/ Gary and team just to say thanks for the castles i bought off you last spring, My customers were all pleased with them and thought they were great. Your advise was great and helped me alot when i started up. Your service is second to none and i will be on the phone soon for more castles !! All the best for 2010, Thanks. Just wanted to say thanks again for the excellent service and quality units provided. 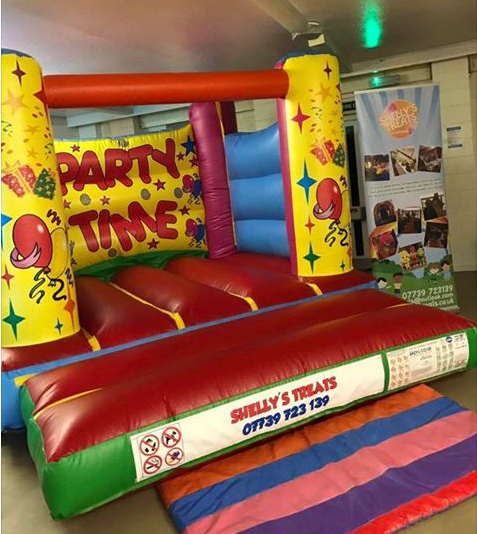 I have put the folllowing on the bouncy castle owner forum so feel free to use it in anyway you wish as a testamonial "I just wanted to say a big thank you to Andy and Gary at AJ leisure for supplying my new units, they are made well, look good and the help, patience and advice has been invaluable to me as a newcomer to the business. My order was even pushed through quicker than my inital request without any loss in quality and without error. Im sure the castles will serve me well in the coming season and if things go to plan I look forwards to doing business with AJ leasure in the near future." VERY VERY VERY IMPRESSED ANDY!! EVERYONE HAD A FANTASTIC TIME THE INFLATABLES LOOK EXCELLENT TOO I COULDNT HAVE HOPED FOR BETTER. 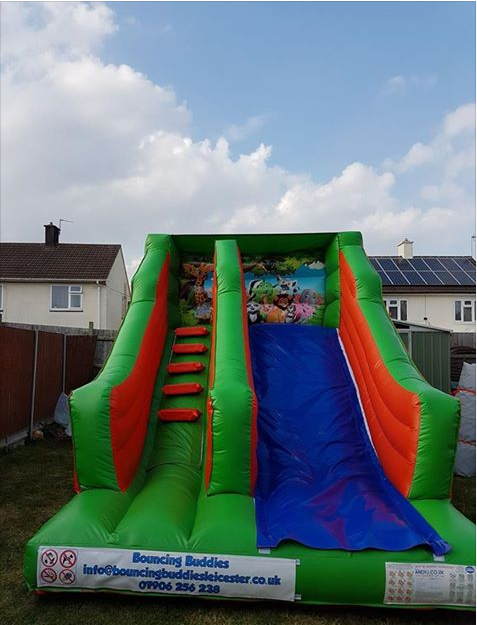 I have attached pictures of the slide so you can see what I mean about the missing slippy mat and also a few other randoms of what a truely awesome day we have had. AJL You guys are superstars!! absolutley exhausted - going to bed to sleep for a week. Andy and Gary are just amazing !!! We had a delivery of 5 castles all completely different in design and every one of them were fantastic. They are always there at he end of the phone and cannot do enough to help. 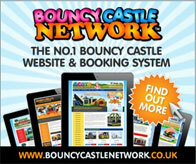 For quality castles at good prices I would recommend them to everyone. This is great thanks again for a good deal and a quick turn around I will be sure to use your company again. We purchased a bouncy castle from you at the start of this year. We are delighted with the product. We are so impressed that we would like to purchase a second identical castle. It is a 12x15 four poster, yellow and black with the our Regimental crest on the front two pillars. Omg i got my castles up yesterday WOW there great!! big thanks to all at andy j will def be back for more major advertising this week and have a nanny on standby for the kids !!! Thank you very much, I recieved the suits yesterday evening and am very happy with them.